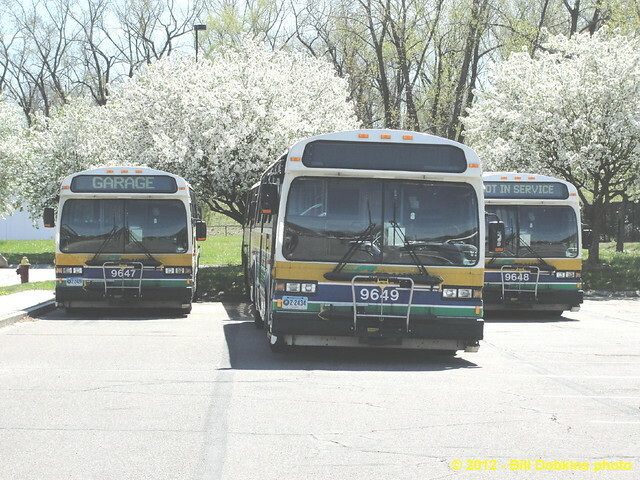 Some pictures taken at CT Transit's Hartford facility on 4/17/12. D40LF #108 being prepped for painting in the body shop. XDE35 #1203 in the storage area. D4500's #1012 and 309 in the storage area. 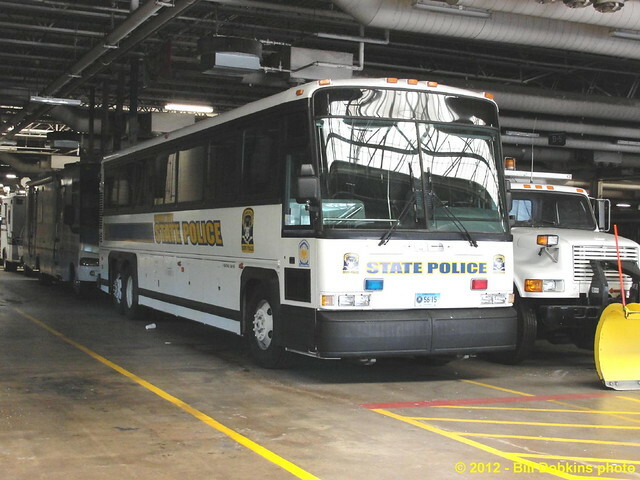 State Police D4500 in the storage area. 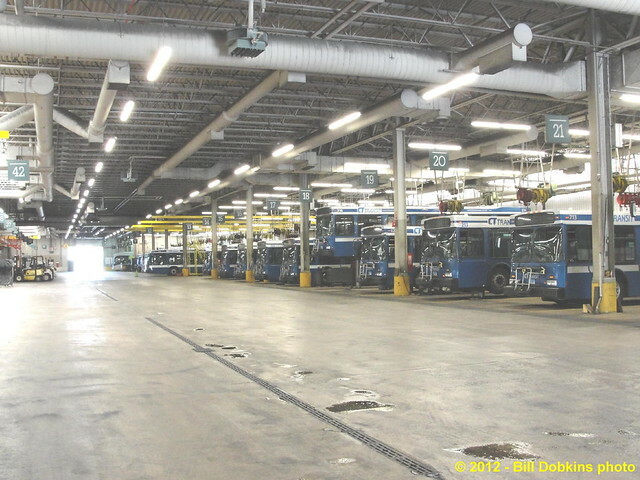 Buses in the work bays. LFSA Hybrid #1102 in the lot. Retired Classics (with fareboxes) in the lot. I mentioned in a previous post about the tendency of the 35' hybrid to rock. One noticeable difference on the 2012 model XDE35 is that the DPIM (AC / DC inverter) has been relocated forward, similar to the 40' model. I am curious to see how this will affect the handling of the bus. Here are some pictures for comparison. 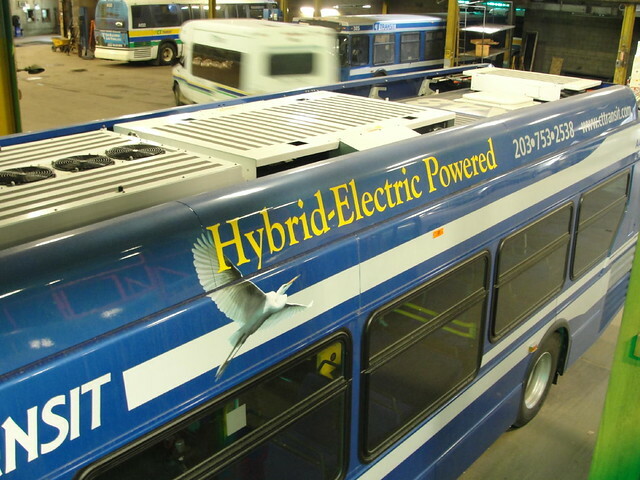 2010 XDE35 - The inverter is located to the rear of the roof hatch. 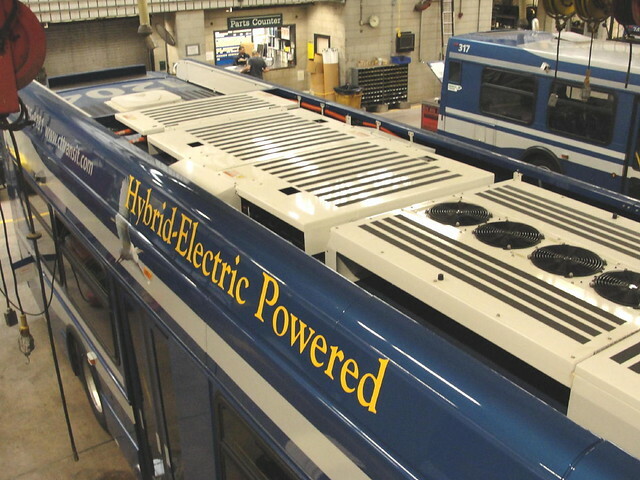 2012 XDE35 - The inverter has been moved forward of the roof hatch. 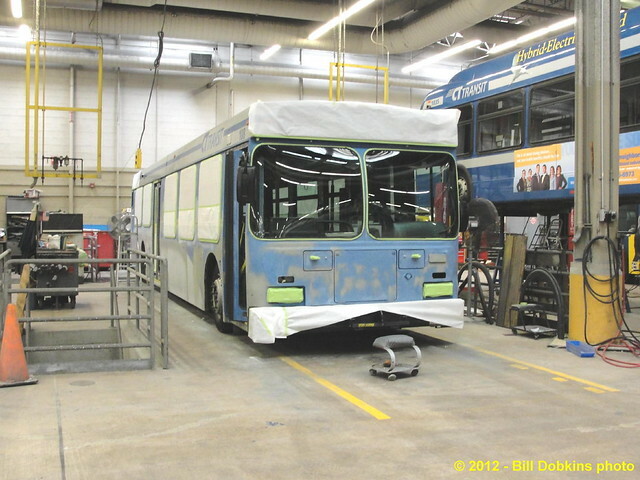 Interesting to see #108 in the paint shop - other than the handful of Classics still in service, those 2001 buses are now CT Transit's oldest buses, correct? As far as transits, yes. 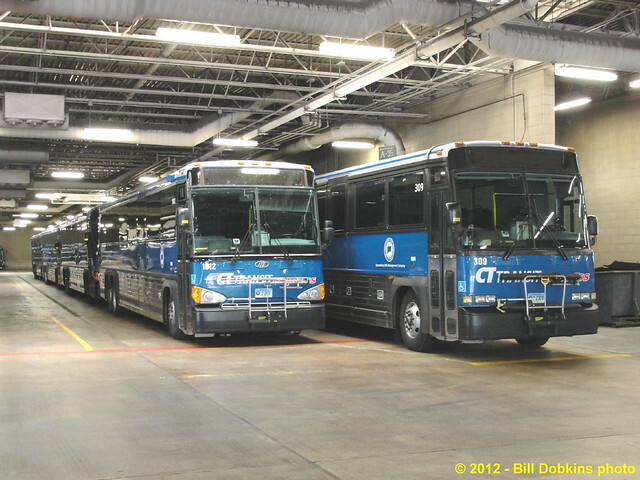 There are still the older MCI coaches which went to CT Transit from some of the private operators a few years ago. 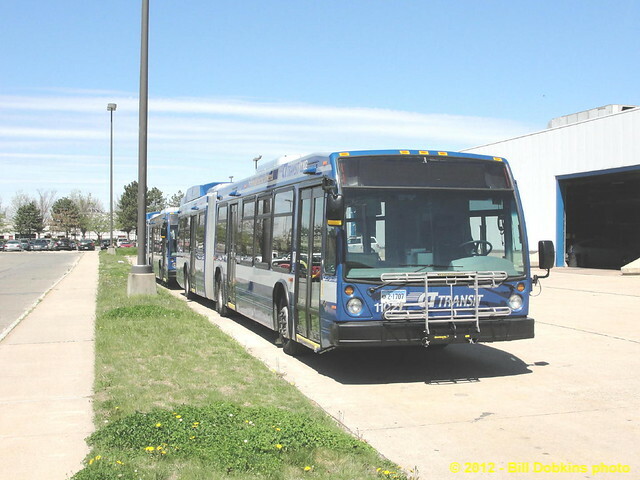 The 100's still operate a large portion of the service in Stamford, and Norwalk Transit District and HART still operate some. so, did u run into 701? if so, whats the status? 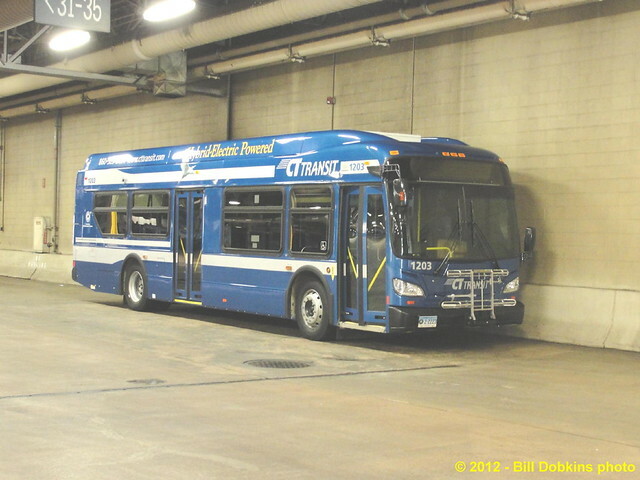 701 was in the maintenance area of the main garage along with another fuel cell bus, but I didn't get to speak to anyone about it. Im guess its waiting for parts to get off the boat lol.